Human activity in Idaho dates back 14,500 years. The 1959 excavation of the Wilson Butte Cave near Twin Falls produced artifacts including arrowheads that are considered among the oldest artifacts ever discovered in the continent. Early native peoples to inhabit the area were the Couer d’Alene, the Nez Perce, the Shoshone and the Bannock. One of the last areas of the lower 48 to be explored by people of European descent, Idaho was first traversed by Lewis and Clark in 1805. The area was built up by fur trading. Missionary work also brought about migration as many found the idea of working with Native Americans of the area appealing. Part of the Oregon Country, an area occupied by French Canadians and the British, Idaho did not fall under the full jurisdiction of the U.S. until1846. 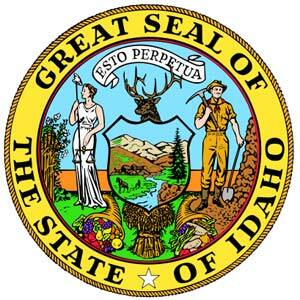 Idaho was granted statehood in 1890. Today, Idaho is one of the least densely populated states in the country. The state has a population of nearly 1.6 million, and a veteran population of just over 138,000. A large mountainous state, the area, contained by Idaho is larger than New England. Nicknamed the Gem State because of the abundance of gemstones found in it, Idaho provides open space for people seeking a more remote lifestyle. Despite the fact that it is landlocked, it does have ample rivers that allow it to be an inland seaport. The gross state product for 2012 was $59 billion, and the per capita income is $36,472. The economy is largely rooted in food processing, lumber, wood products, machinery, chemical products, and paper products. The largest sector in the state is Science and technology which accounts for over 25 percent of the states revenue and 70 percent of the states exports. The largest city and capital of the state is Boise. The state has 18 ski resorts and a number of parks. The City of Rocks National Reserve is a popular destination for hikers and rock climbers. The Trail of the Coeur D’Alenes is a favorite of bike enthusiasts; the trail is a 72 mile bike trail spanning the panhandle of Idaho. When a veteran purchases a home using a VA loan in Idaho, a termite inspection is not required. The median home cost in Idaho is $173,900. The property tax exemption is available to veterans who suffered a service-related injury that has left them with a disability rating of 10 percent. The exact exemption amount is variable and is determined by net income. 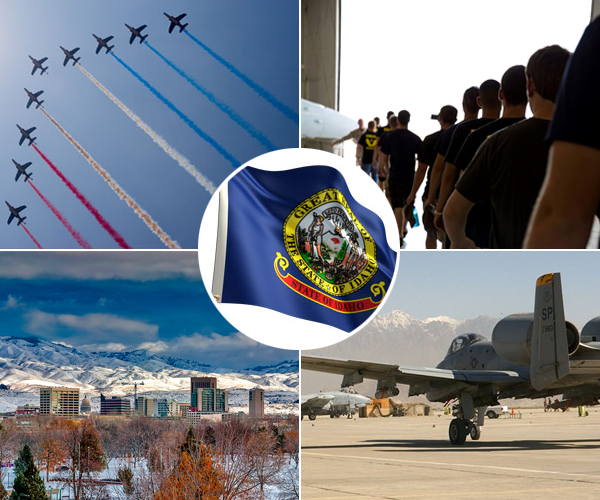 Idaho is home to Mountain Home Air Force Base. Mountain Home AFB is located in Elmore County ID. The general objective of Mountain Home AFB is to support air combat power operations. Mountain Home houses over 3200 personnel and their families. If you own a home in the state of Idaho and need help selling your home complete the form below or call 888-573-4496. Click here, if you lack enough equity to sell. VA Home Loan Centers provides assistance to “upside down” homeowners at no out of pocket cost. In many cases, veterans and service members can use their VA loan benefit again in the future. NOTE: The following is for information purposes only. To find out the exact dollar amount you qualify for, call the Idaho VA Home Loan Centers Applications Support Desk at 888-573-4496 or fill out the VA Home Loan Application located here. The loan limits below are the maximum 2019, $0 down VA loan amount set for each county. Although there is no maximum loan amount, the maximum no money down VA home loan limits are stated as follows.